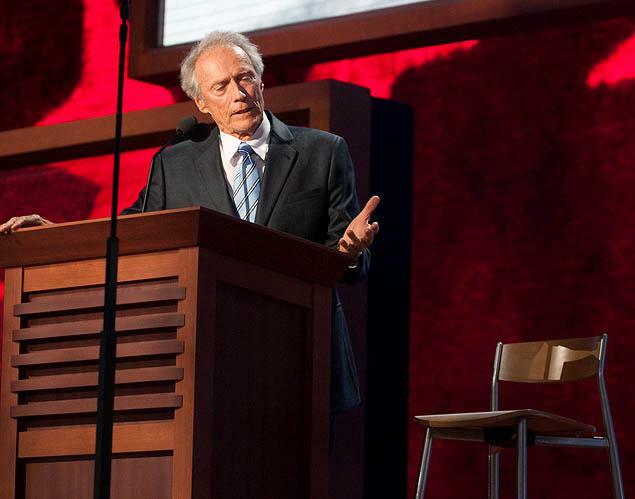 I’m sure you have all seen or heard about Clint Eastwood’s speech at the Republican National Convention (RNC) last week. 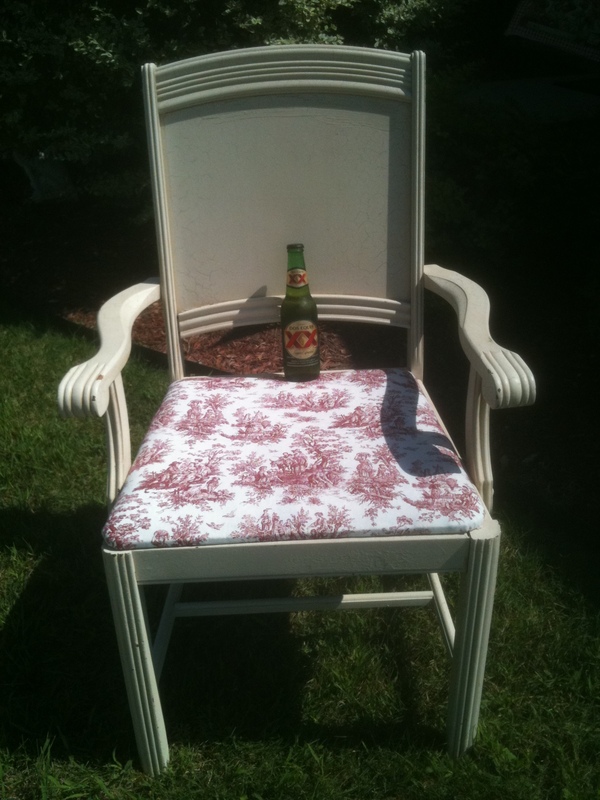 His schtick of talking to an empty chair (Obama) has sparked a new fad called “Eastwooding”. Eastwooding is photographing an empty chair. And impromptu movement then decided that today — September 3, 2012 — would be National Empty Chair Day. They have asked everyone to put an empty chair on their lawn and add signs/props/etc. that fit the image of Obama as an empty chair. Rare photo of a very young Barack Obama. Obama takes his rightful place on Mt Rushmore! Obama chair made from Obama supporters! More here, here, here, and here. Let’s get rid of the empty chair on November 6! Romney/Ryan 2012! Did Hollywood “genius” Morgan Freeman see the Florida straw poll? Just wondering…did Morgan Freeman, the Hollywood Whiz Kid*, happen to take a look at the Florida Straw Poll on Saturday? 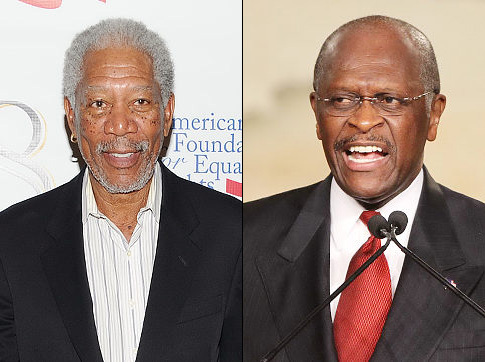 Herman Cain, a black man, won that straw poll largely from the support of the Tea Party. Morgan Freeman said on CNN last week that members of the Tea Party are racists willing to do whatever they can to “get this black man” (Obama) out of the White House. The only racist I see is Morgan Freeman…..
Amen! Freeman is right about one thing….the Tea Party wants the President out of the White House. So, Mr. Freeman, race is not the issue as proven in Florida….but for some reason it is an issue with you and many like you. 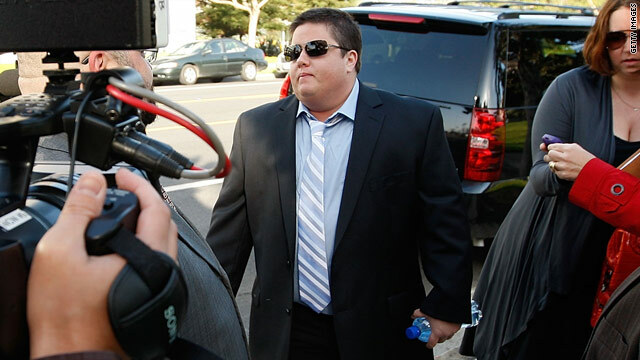 Why don’t you attend a Tea Party (as Herman Cain suggests) before spreading your nastiness?…and then….well…. After all these years, Archie Bunker still makes more sense than the moonbats who created him. Some interesting thoughts that crossed my brain today…. I don’t always have time to write, link, and do justice to so many of the issues that exist in our country and politics today. Why don’t the so-called 9-11 truthers concentrate less on ignorant theories that the government exploded the World Trade Center and focus more on the deficits and debt explosion of this government? Why do the NFL (and MSM and Hollywood and liberals, in general) give a pass to, if not practically cheer for, those sports stars and others who’ve had 121 adulterous partners, raped underage girls, mutilated dogs for fun, and more…..while they show contempt for a wholesome, “saving himself” leader such as Tim Tebow? Why is it that the so-called “tolerant” MSM and liberals are laser-focused on the sexual preference of Supreme Court nominee, Elena Kagan, while those on the right are not? Similarly, if Elena Kagan believes that “Don’t Ask, Don’t Tell” is so wrong in the military, why won’t she clearly state whether she is (or isn’t) a homosexual? How is it that we always hear about “peaceful and tolerant Muslims” but we never see or hear them? Is it because the “peaceful” cower to the violence or because the “peaceful Muslim” is non-existent but the “radical” Muslim slithers among us? If Arizona, as of today’s signing by Governor Brewer, has a law that outlaws teaching children about the “overthrow of the US Government“, does that mean that if Obama’s is successful in imposing his ideological agenda on America that they won’t be able to learn about our 44th President in Arizona in the future? As I’ve read and listened to the new just over the last several days, I just keep wondering what our country is and has been transforming to. As I’ve stated before, I no longer believe the fight in this country is between Republicans and Democrats or liberals vs. conservatives, per se. I believe our fight is clearly one on many fronts: good vs. evil, anti-Capitalists vs. Capitalists, immoral vs. moral, and haters-of-Americans vs. America lovers, and freedom suppressors vs. freedom lovers. This includes clear assaults on our markets, upon Christians, upon patriots, our military, and our system of laws. Much of the most recent news gives a great glimpse into the country we are becoming and have become. As you read these examples, think to yourself if this is the country you want now and one you wish to leave to your kids and grandkids. We’ve sat on the sidelines for far too long while we’ve allowed these assaults on our institutions to fester and grow. It is a sad state of affairs. And the current administration and Congress has done virtually nothing to make it better and almost everything to make it worse. They were sent home for their show of U.S. patriotism. Bono started undergoing gender-reassignment surgery in March 2009 – soon after turning 40. In an interview last year, he said undergoing the surgery was ‘the best decision I’ve ever made’. He said: ‘I feel so much more comfortable than I’ve ever been. He explained that the entire transition from female to male will take about four to five years. So far, his breasts have been removed and he has received hormone treatments to deepen his voice. And to his delight, he now has to shave his face. “What should be discussed as a psychiatric disorder is instead being celebrated, at least by this nutty girl and a few like-minded gawkers. Intolerance of Christianity and free speech: National Day of Prayer ruled unconstitutional & Franklin Graham disinvited to speak at Prayer event because of his views on Islam. Evangelist Franklin Graham prayed on a sidewalk outside the Pentagon Thursday after his invitation to a prayer service inside was withdrawn because of comments that insulted Muslims. He (Graham) said he doesn’t believe “all religions are equal” and that there is only “one way to God” — and that is through Jesus. Another moment in the press conference, he said people shouldn’t be offended because it’s simply a disagreement in what people believe. Last time I checked, Franklin Graham runs an organization for helping the poor, downtrodden, and abused. They are active in Haiti, Chile, Nashville and more currently helping with disasters. He comes from perhaps the most ethical of families but is persecuted for calling evil what it is. Islam is not a religion of love and helping fellow man, but is an authoritative one of suppression, threats, and violence and one that condemns those who disagree with its tenets. Franklin Graham prays for Muslims with whom he disagrees. But in Islam, Graham is an infidel and worthy of death. Can the contrast be any more stark? Isn’t this the same guy who blasted John McCain for saying the ‘fundamentals of our economy are strong’ when the unemployment rate was at 6.2% in September 2008? Arizona Immigration Law (in line with US laws) is boycotted and called racist for its efforts to keep out ILLEGAL immigrants, crime, and drugs. Of course, not all is lost in America. I hold out great hope that the uprising of American patriots will turn back the tide of this assault on America. But reality is reality and these headlines are but a snapshot in time of our country right now. Would the founders even recognize us anymore? Just ponder the thought and think/pray about what it is that you might be able to offer to our country to change it back to what it was meant to be. A great clip from the ultimate 1960’s/1970’s classic Hee Haw….Junior Samples. Yes, our eyes are open…and even some Democrats have now progressed to the “eyes open” stage! The proof is in Massachusetts tonight. Despite his success, Junior hasn’t changed. Until the time of his death, he still wore his bib overalls wherever he went, was still married to the same charming lady and still had the same honest and innocent outlook on life. Of course, he did own a Lincoln Continental, but he used it to pull his bass boat. RIP Farrah Fawcett and Michael Jackson: They produced lots of memories for us age 40+ members of society! Sad to hear today of the death of two VERY famous people — Farrah Fawcett and Michael Jackson. Politically, socially, and morally I probably didn’t agree much with either of them, but both were famous beyond almost ALL, if not all, others in their fields…and both displayed talent. Farrah Fawcett had the hair all us girls wanted in Junior High School! And college would have never been the same without the endless Thriller video by Michael Jackson. Oddly enough, Fawcett became famous on her looks with her real acting talent really never shining through until later in her career. Conversely, Michael Jackson’s talent was clear as a youngster and earlier in his life….until, as Michelle Malkin put it, the “Hollyweird” overtook him. Then his looks became a clear metaphor for the weird and eccentric turn his life took. Many of us have great long ago memories of these two icons idols*…..may they rest in peace.